Not sure which size of wire loom you need? 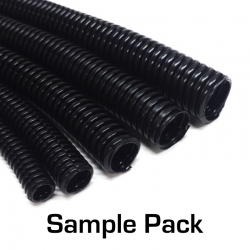 This sample pack lets you try all the sizes to find the right one. Contains 1 foot pieces of 1/4", 3/8", 1/2", 5/8" & 3/4" split wire loom.